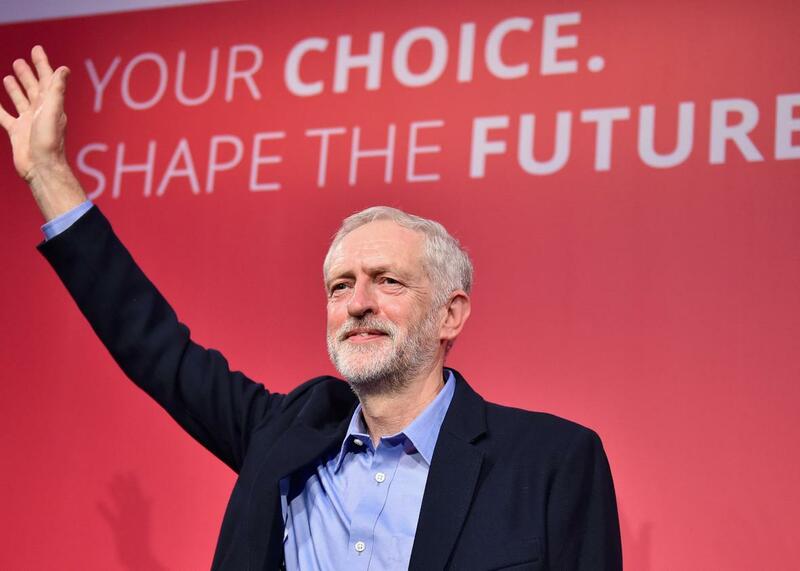 Divisive far-leftist Jeremy Corbyn elected Labour Party leader in landslide. Jeremy Corbyn is announced as the new leader of the Labour Party at the Queen Elizabeth II conference centre on September 12, 2015 in London. As Europe continues to feel the aftershocks of the financial crisis of 2008, voters have been increasingly attracted to the political extremes, with support growing both for socialist parties on the left and nationalist ones on the right. The Labour leadership result could now shift the main opposition party in Britain closer to the types of positions taken by other leftist parties that have become prominent across Europe, including Syriza in Greece and Podemos in Spain. The Corbyn phenomenon has to be put in the broader context of surging disillusionment with political elites across the western world which finds its expression in support for Bernie Sanders and Donald Trump, Podemos and the Front National, the SNP and Ukip. Social democracy is in crisis because it accepted the underlying principles of austerity, and therefore has little to say. A vacuum was left, and the Corbyn phenomenon filled it. He offered an optimistic hopeful vision that resonated, and his rivals failed to do so. The heirs of New Labour have a lot of soul-searching to do, and it will mean rejecting the negativity and nihilism represented by their champions in the media. Minutes after he was declared the winner, Corbyn said that the huge support for his candidacy showed how people are “fed up with the injustice and inequality of Britain.” Plus it proved just how out of touch the party leadership has been. “The media and many of us, simply didn’t understand the views of young people in our country. They were turned off by the way politics was being conducted. We have to and must change that. The fightback gathers speed and gathers pace,” he said, according to the Guardian. Corbyn said his first act as Labour leader would be to attend a demonstration to show support for refugees.